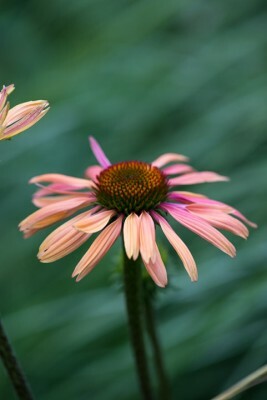 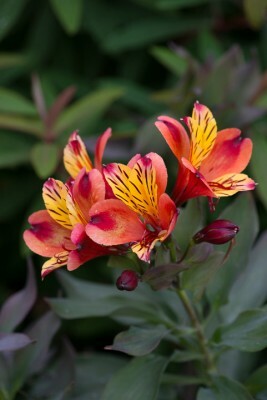 The accent throughout the garden is on permanent planting rather than annuals, plants that will give a few years. 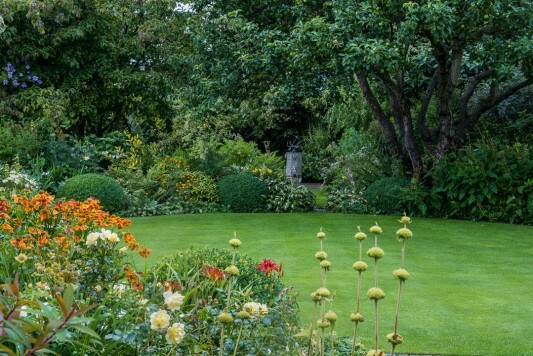 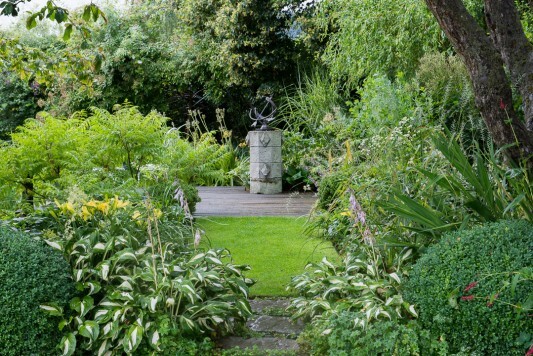 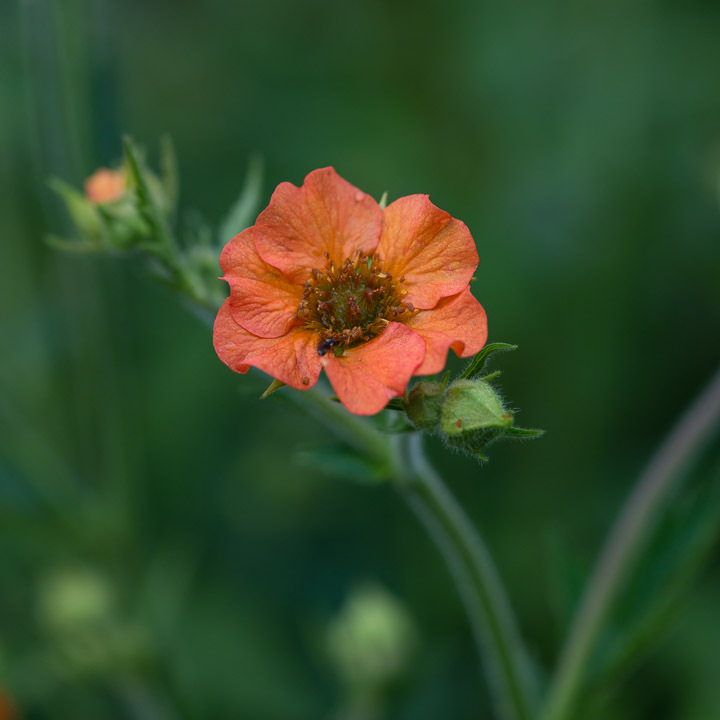 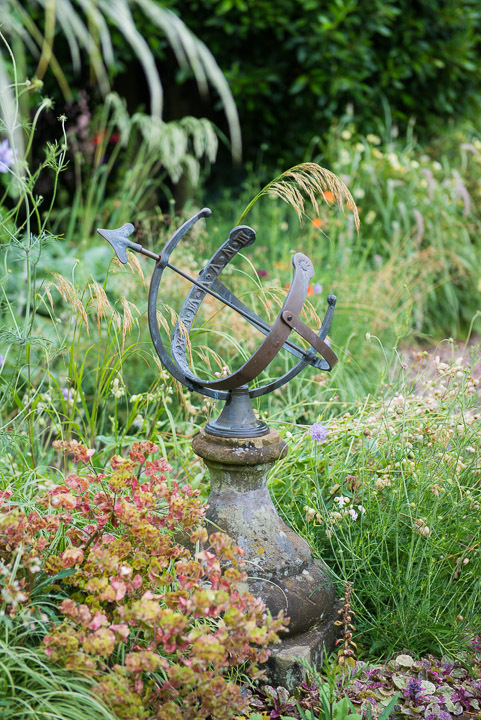 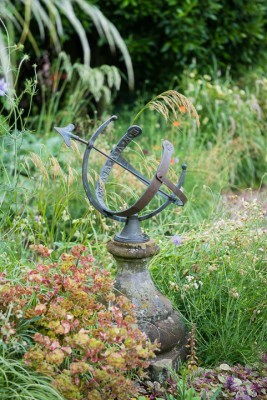 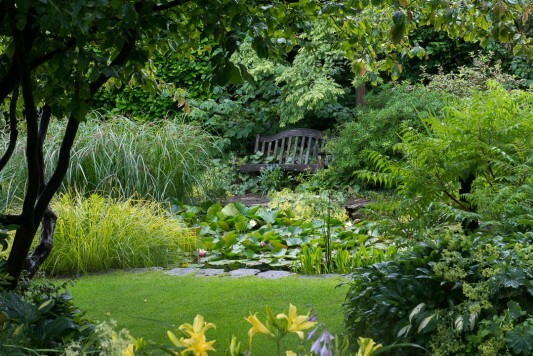 She has been influenced by great contemporary gardeners — John Brookes (especially on the design side), Beth Chatto and Rosemary Verey (both of whom she has briefly met) and, latterly, Piet Oudalf. 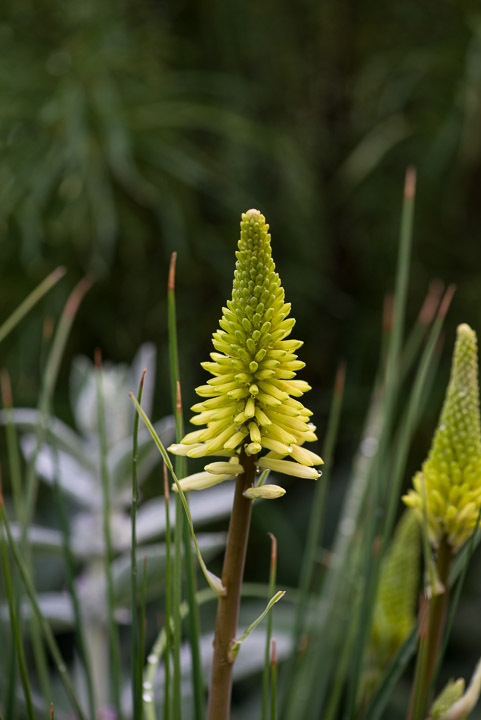 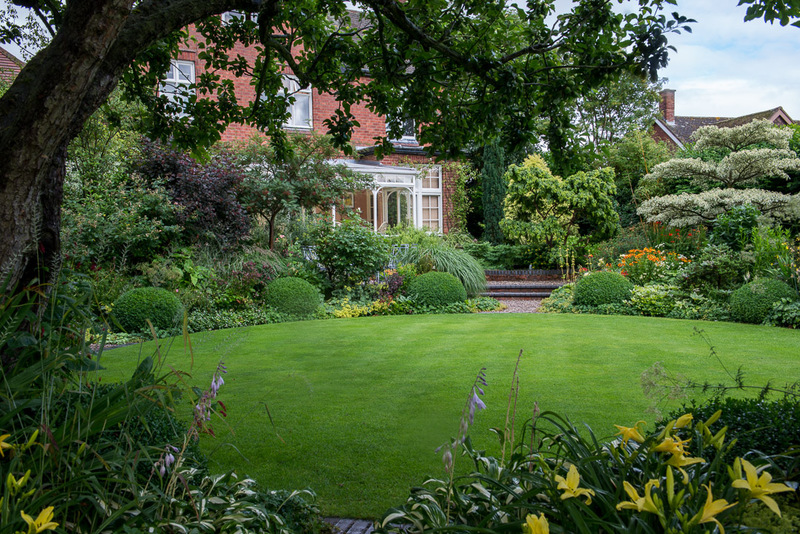 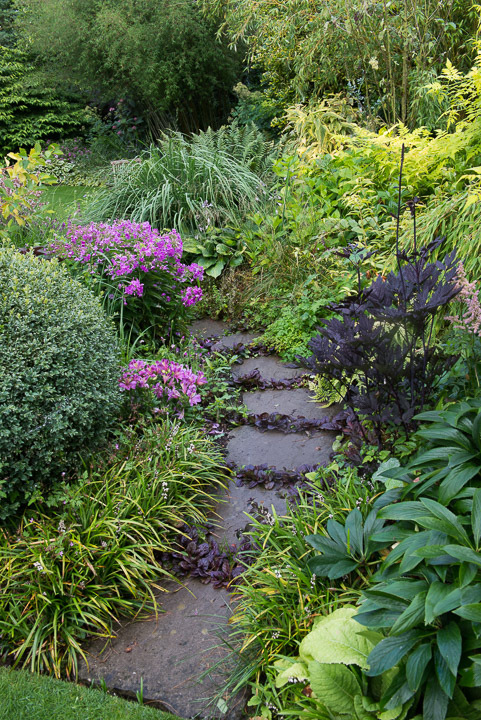 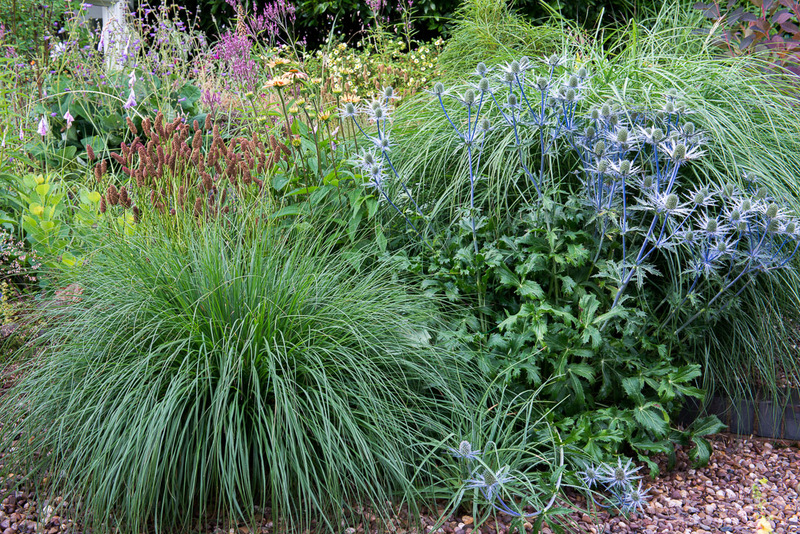 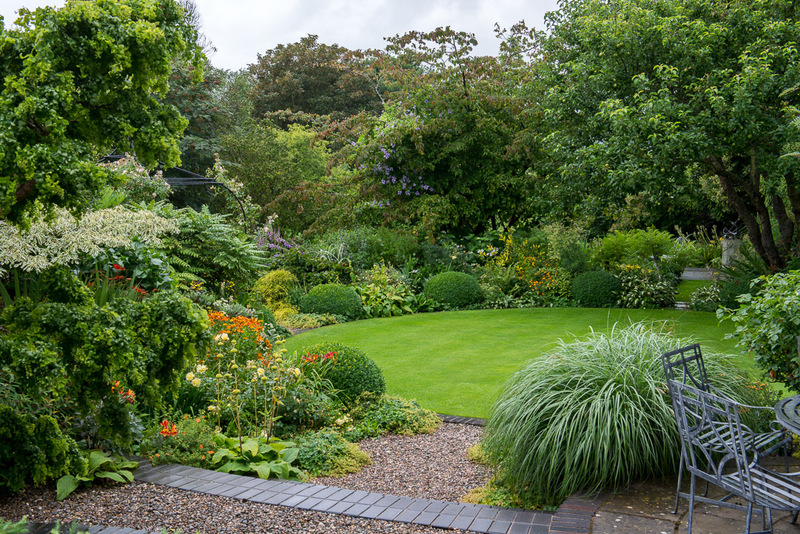 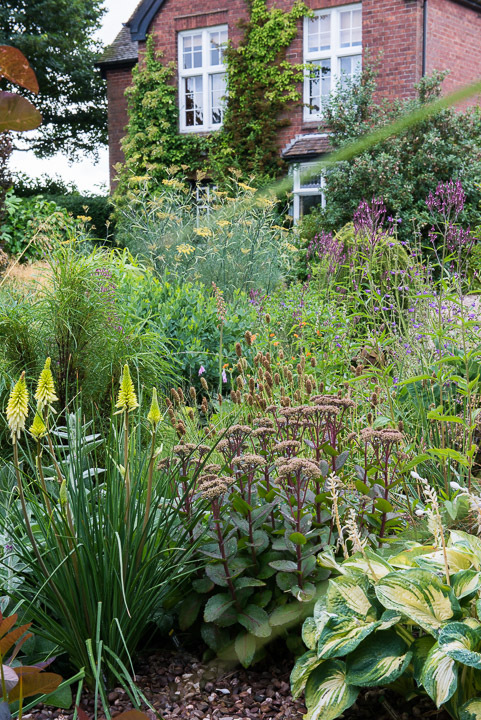 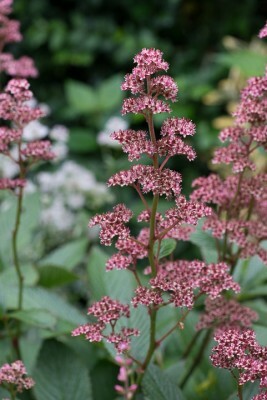 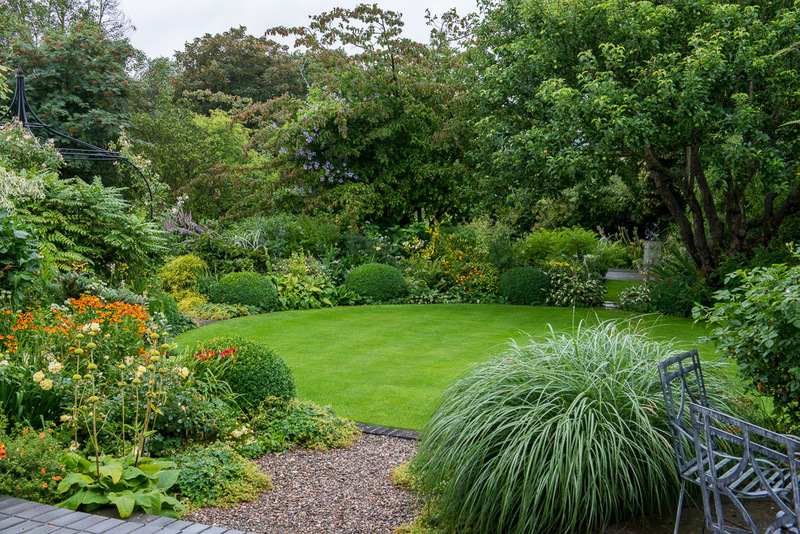 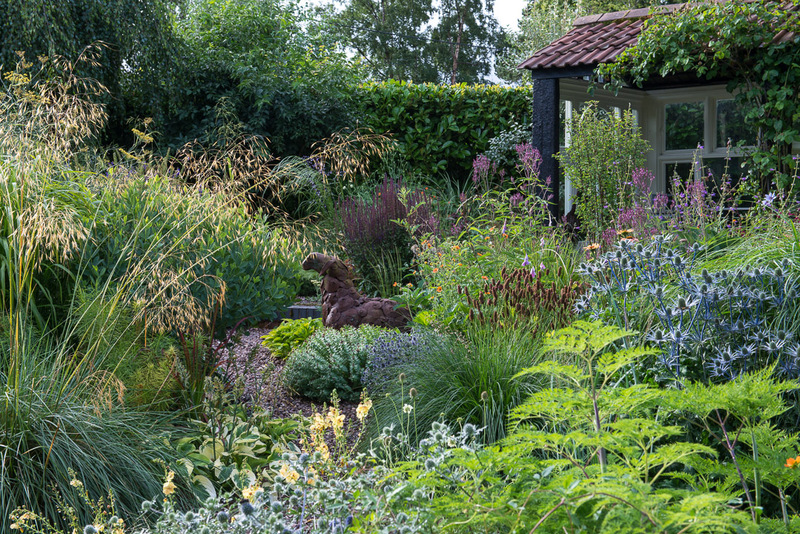 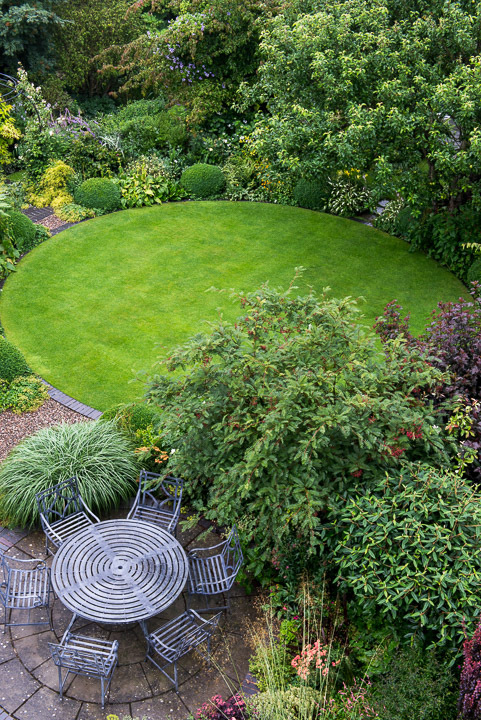 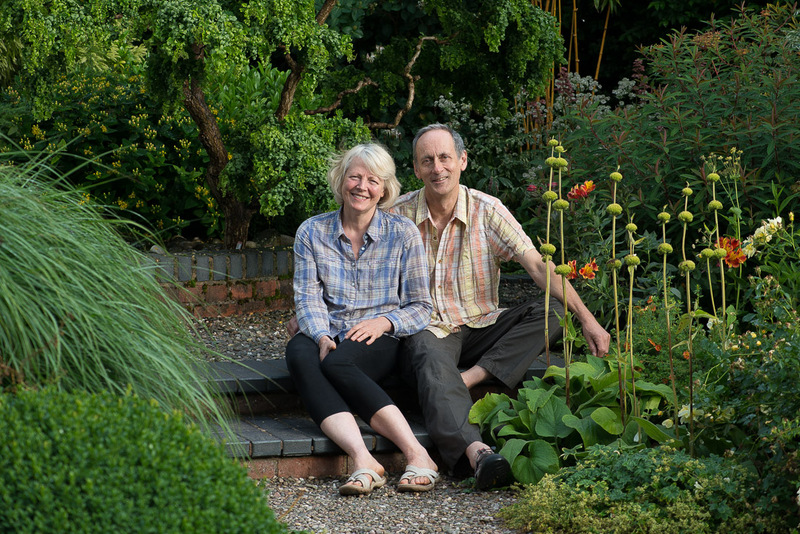 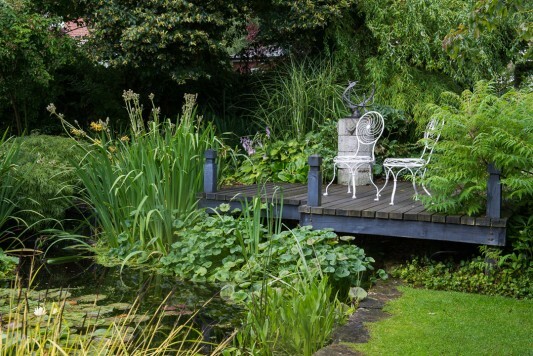 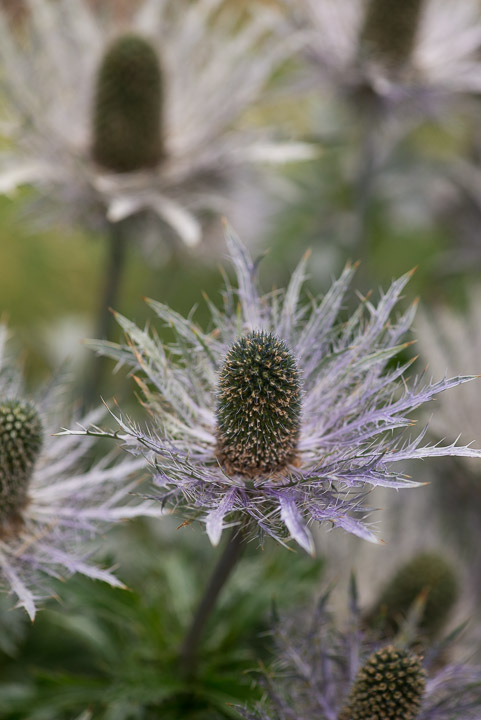 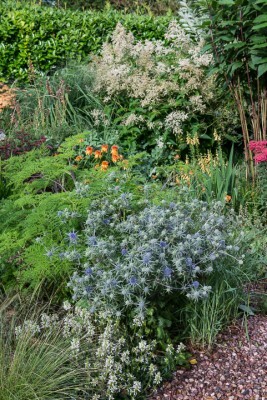 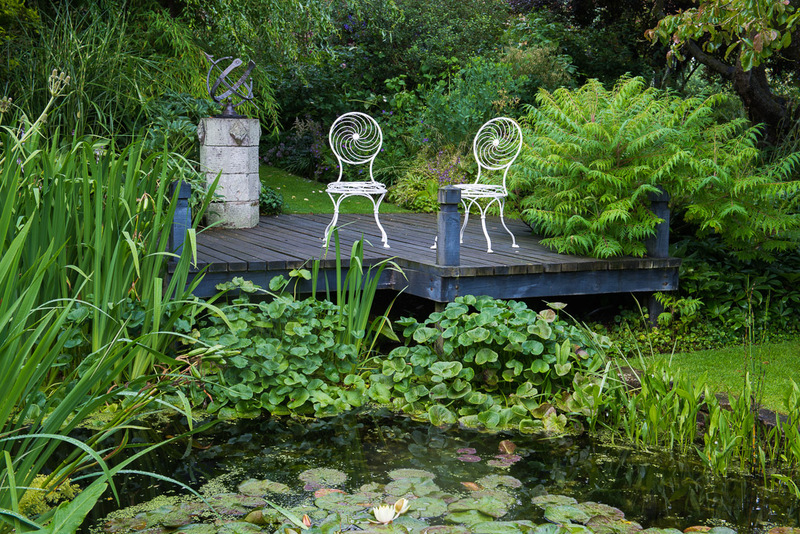 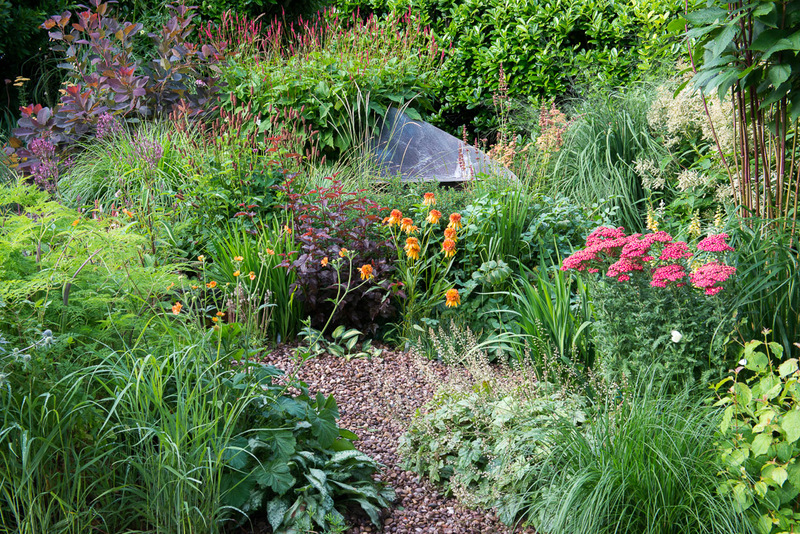 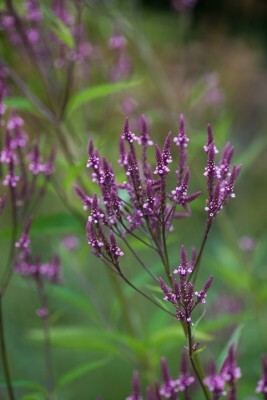 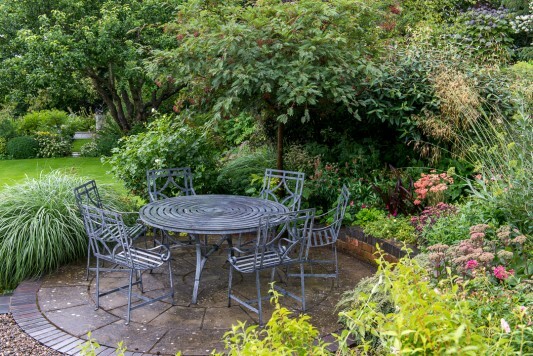 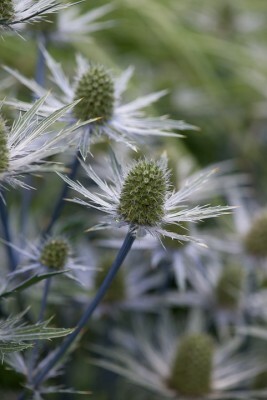 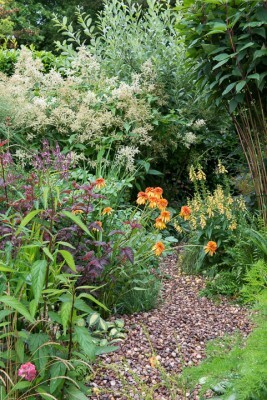 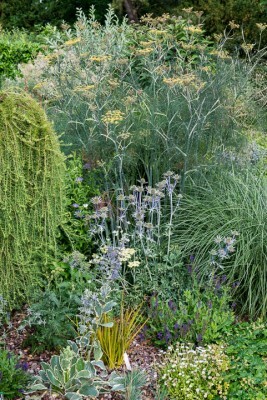 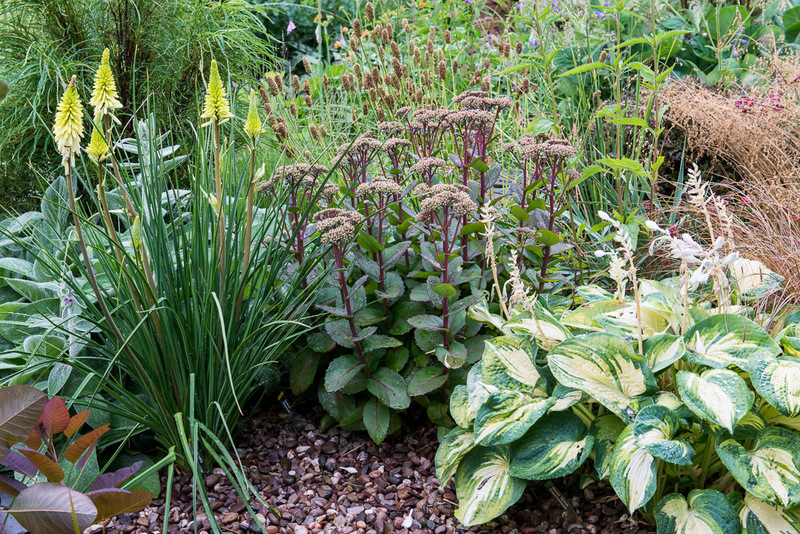 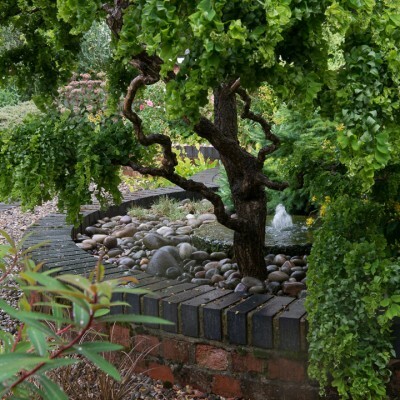 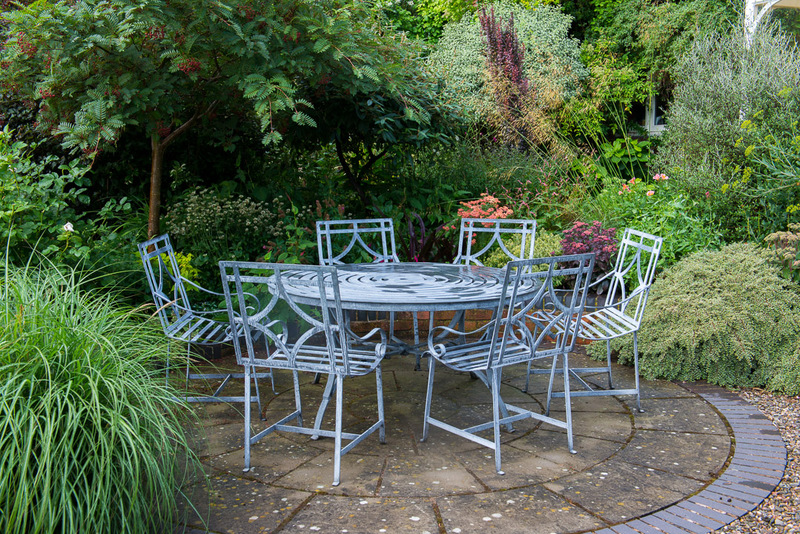 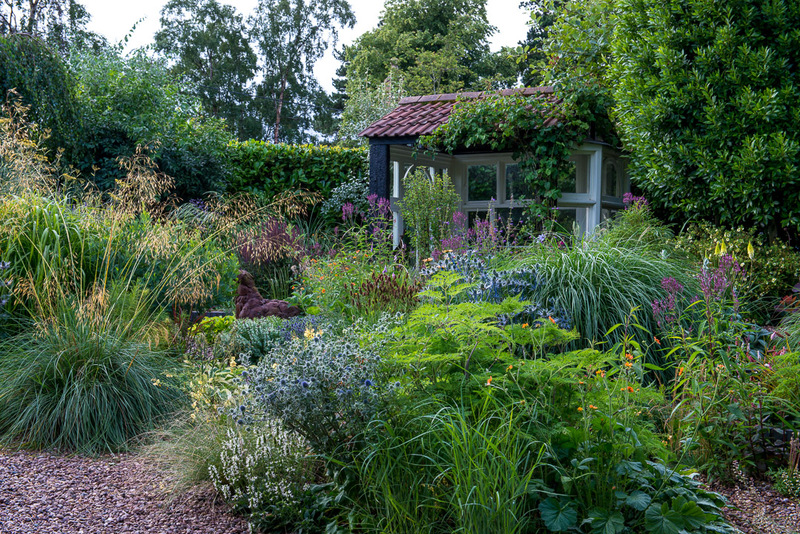 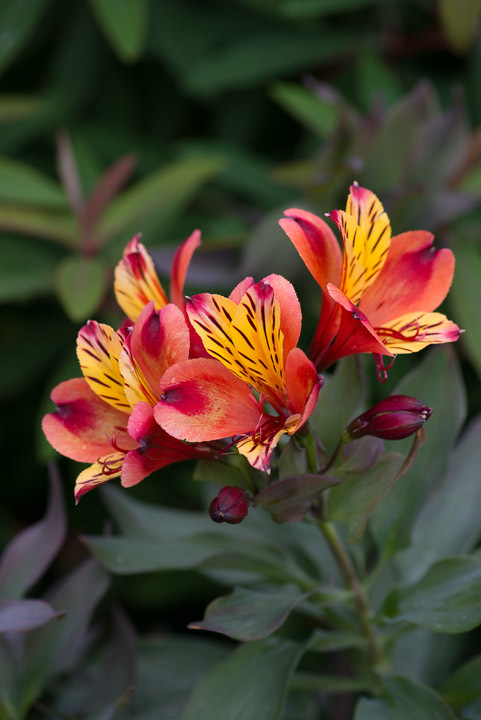 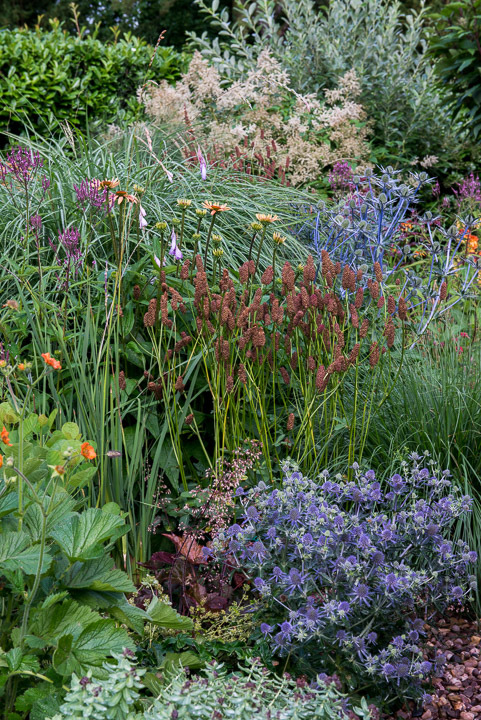 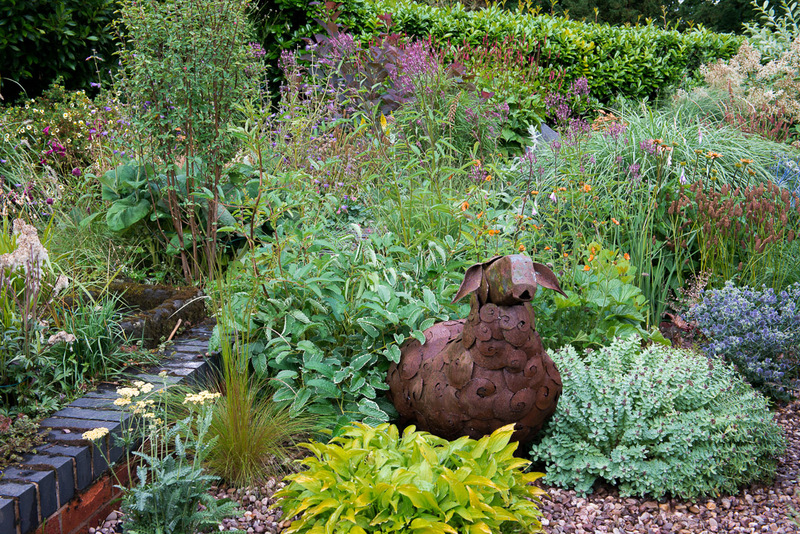 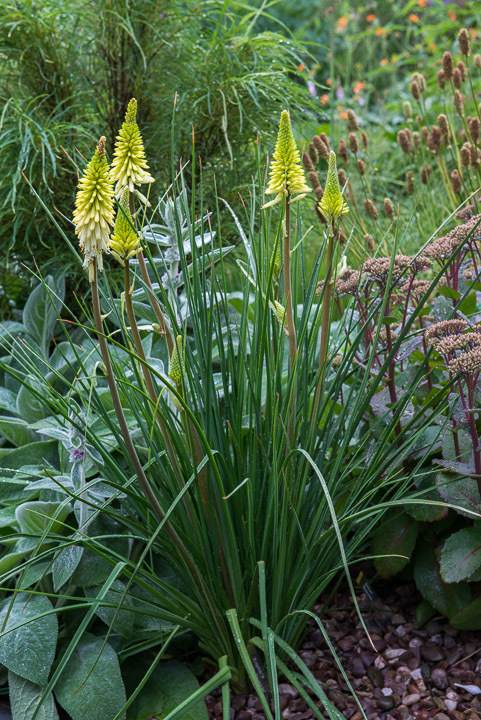 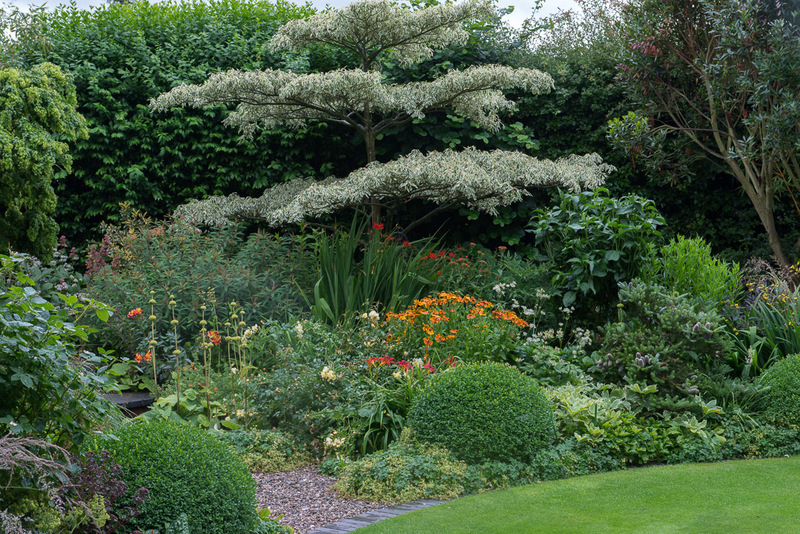 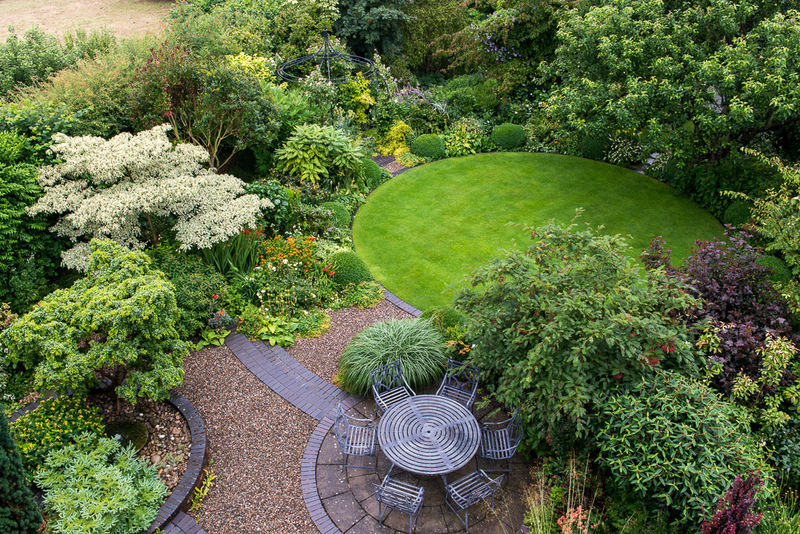 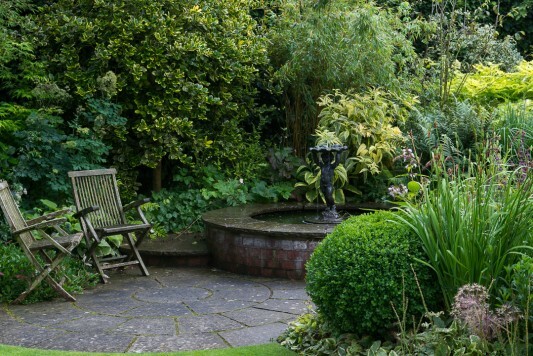 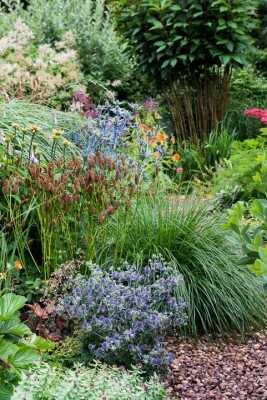 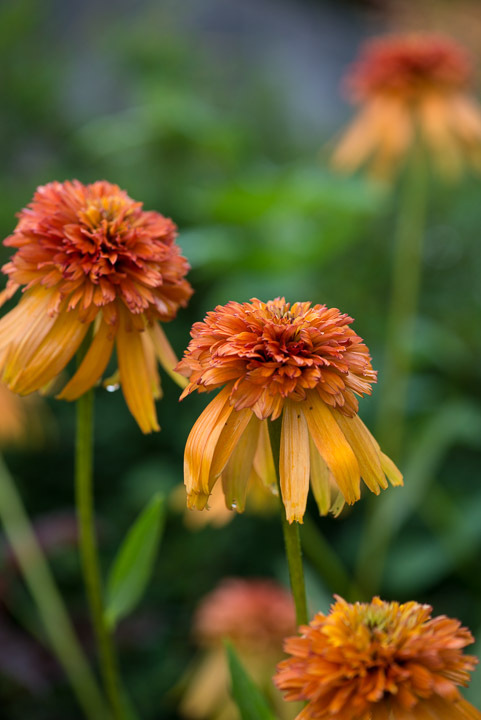 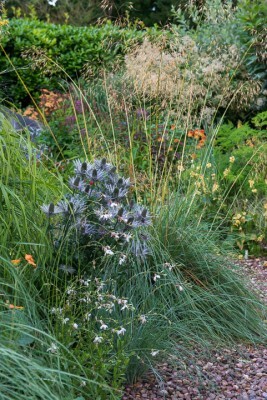 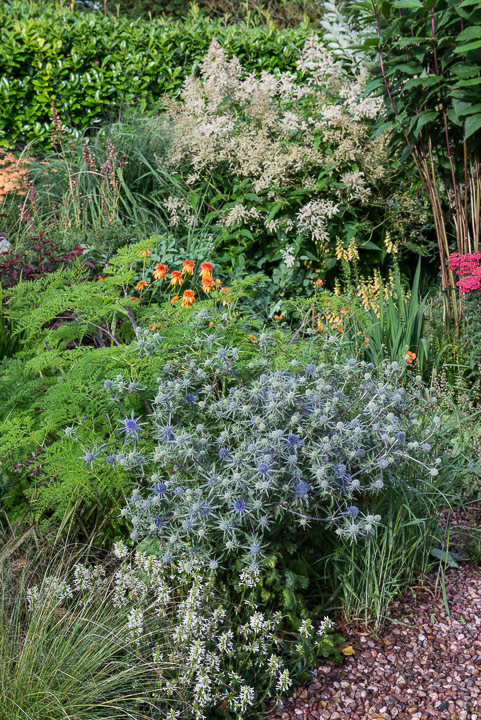 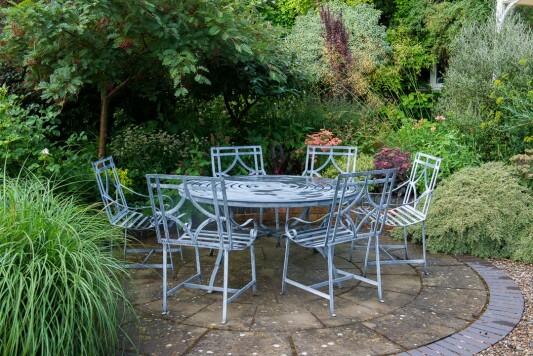 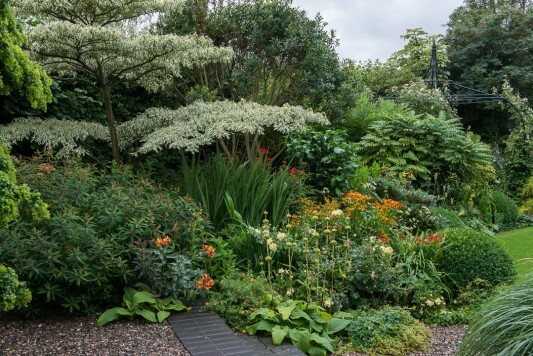 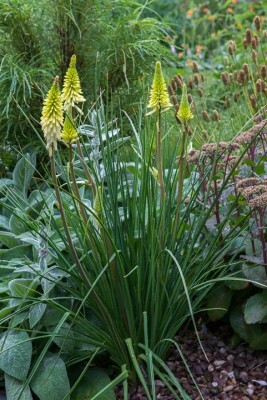 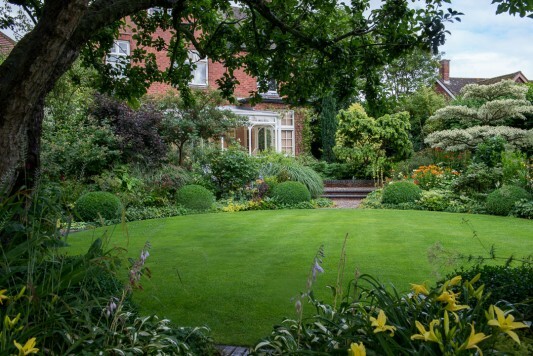 'I've had to adapt his perennial style of planting to suit my garden,' she says. 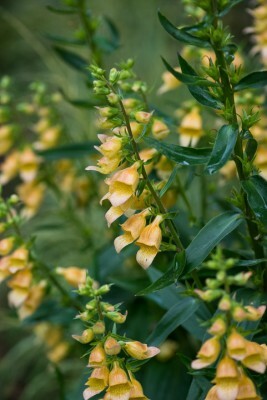 In most cases, Fiona starts out with a single plant, splitting the clumps again and again over the years. 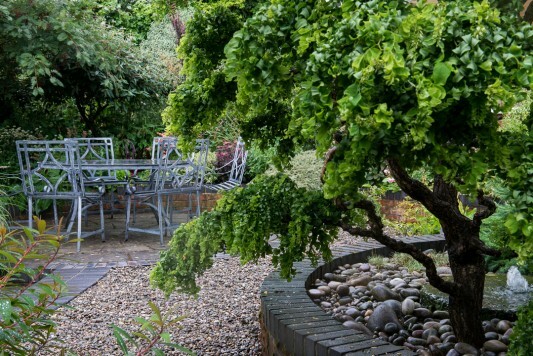 'Sea hollies are an exception because they don't split well and, although they self-seed a little, they don't always appear where you want them,' she notes.